Subaru has recently released the first teaser image of the 2015 WRX, ahead of its unveiling that would take place at the Los Angeles Auto Show. 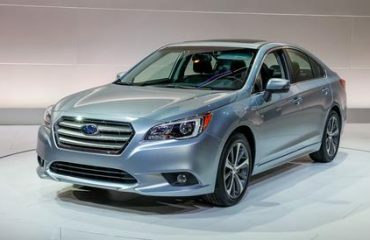 Considered to be a preview to the WRX concept, this production model in the image has an aggressive front fascia with a prominent grille that is flanked by LED-infused headlights. Other highlights of the model include a new front bumper and a familiar ram air hood. The company did not comment on the specifications but there have been previous reports that have indicated that the model could come equipped with a 2.5-liter four-cylinder engine that would generate an output of at least 265 hp (198 kW). The company has further states that the WRX will be showcased in the show alongside a mysterious design concept model but there’s no word on what it will be and the company has kept it a top secret till now. However we expect that the details of both the WRX and the mysterious concept would be out soon as the show comes near and so we need to wait for a little more time to get the official news on the same.